Jason spent the morning at Burton Safes in Brockholes. Burton Safes are the leading supplier of commercial and homes safes. They are growing their business, expanding their export market and have just taken on a new member of staff. 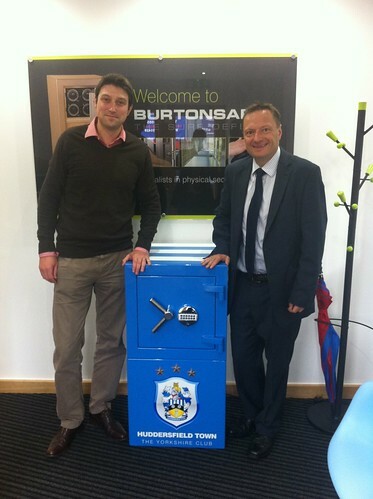 The company are a partner of Huddersfield Town and Jason is pictured with Director Ben Lewis in front of a special edition safe.